If you’re thinking about lighting up a fat joint while on prescription drugs, this is what you should know before you inhale. One of the most astounding facts about cannabis is its ability to complement the positive effects of existing prescription drugs. So far, evidence has shown that pot enhances the effects of epilepsy drugs, cancer treatments, HIV drugs and more. There is also evidence that using cannabis in conjunction with popular drugs can reduce instances of addiction and soothe withdrawal symptoms for patients in drug rehabilitation programs. 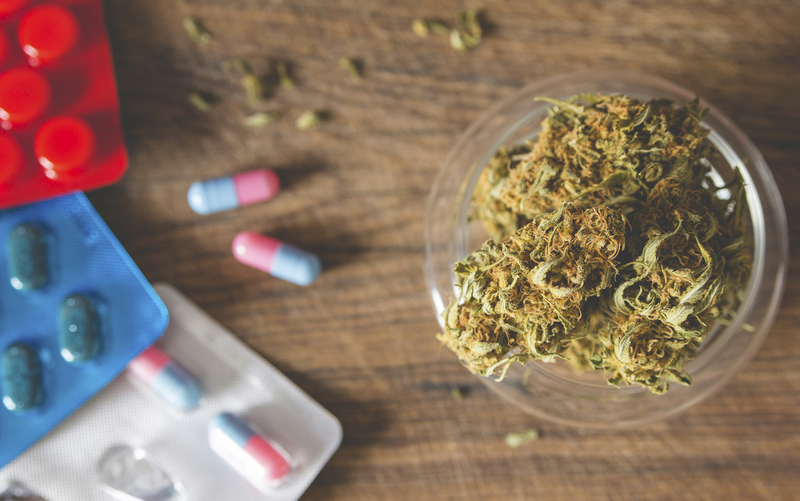 However, given the multitude of prescription medications out there, combining them with medical cannabis may not always produce great results. 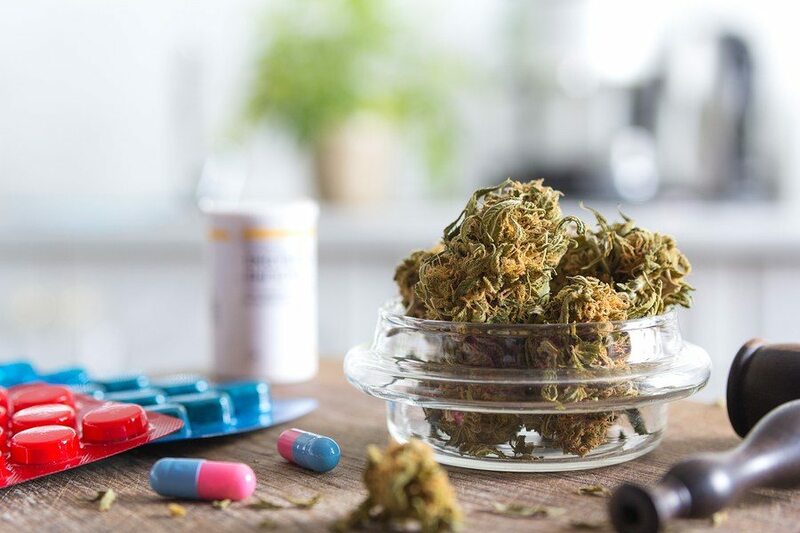 In fact, due to the vast number of compounds found in marijuana, it is likely that interactions with prescribed drugs will range from positive to negative. When it comes to fighting away pain, this one-two punch may seem like a no-brainer. Prior studies also seem to support this view. “There is a growing body of evidence to support the use of medical cannabis as an adjunct to or substitute for prescription opiates in the treatment of chronic pain. When used in conjunction with opioids, cannabinoids lead to a greater cumulative relief of pain, resulting in a reduction in the use of opiates (and associated side-effects) by patients in a clinical setting,” reported the National Institute of Health in 2012. But be aware that combining cannabis with opiates can have an addictive affect that may be difficult to overcome, and too much depression within the central nervous system over time can be dangerous. 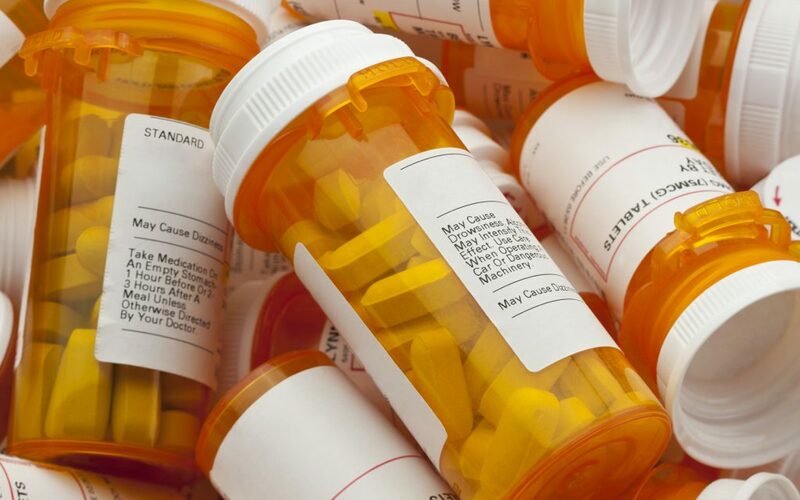 Drugs that calm the nervous system like opioids and sedatives can interfere with heart rate and respiration, not to mention how much they may cause marked lethargy and drowsiness that can impact one’s ability to drive or carry out other important daily functions. CBD and THC have been linked with lower blood pressure levels. 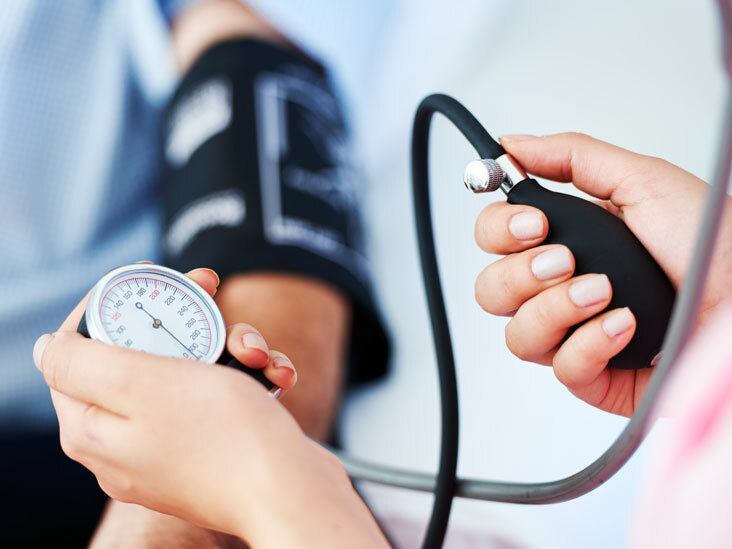 However, individuals taking antihypertensive medications should be sure to avoid consuming Sativa strains, as this can lead to a temporary rise in blood pressure. In fact, studies are mixed on the effects of cannabis and stimulants in general. In some subjects, it has been shown that THC mixed with caffeine elevates heart rate and increases the likelihood of paranoia, while other studies show that the two complement each other. As a rule, if you have high blood pressure, be careful when mixing cannabis with stimulants as heart palpitations, hypertension and tachycardia can all manifest. For the record, regular cannabis use has proven to be effective in managing blood sugar levels and weight. Too much cannabis could bring blood sugar levels down too low, causing hypoglycemia. Diabetic patients should find optimal dosing strategies that work for them, not against them. Marijuana causes an initial boost in serotonin that positively impacts mood but much like with other substances serotonin levels have a tendency to drop to alarmingly low levels (increasing the likelihood of continued use and eventual addiction). Fusing cannabis with antidepressants may lead to an initial overabundance of serotonin, which can heighten the body’s need for these substances worsening depression and anxiety in the long run.